Oh good grief, do you know how much I love this????!!!! But, how did you do the heart? 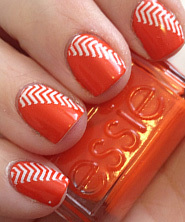 I love this nail design too! 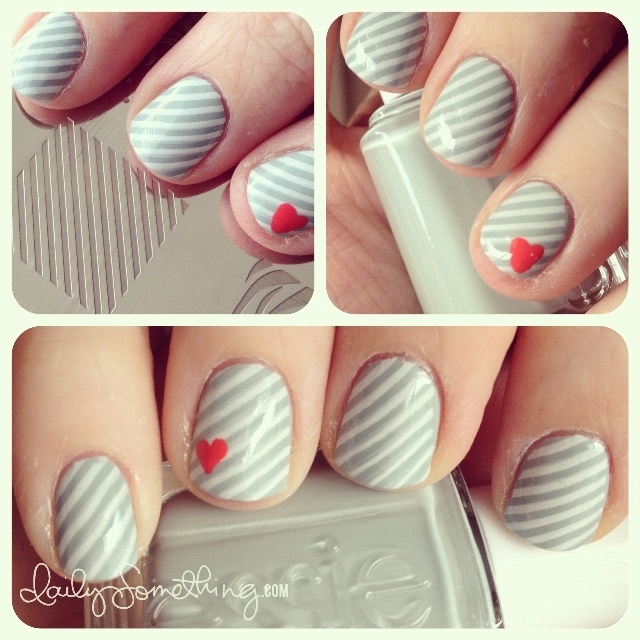 If you want to check out an easy way to make the heart, I have an easy tutorial up on my blog using scotch tape. It’s so simple! 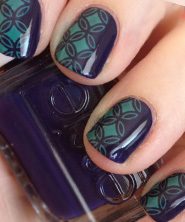 New favorite nail polish stamp/color combo ever! Must try now! Love, love, love! I think this is great inspiration for a card. Oh gosh, I think this is my most favorite manicure you have done so far! Absoutely L O V E it! OMG!!! I LOVE this one!!!! Where do you get those stamping plates?? How does it work?! 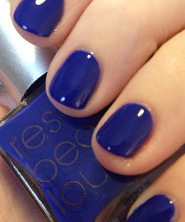 Now I want to make my nails like this!!! How bout the heart?? Did you paint it in yourself or did you use a stamp also?? It’s nail stamping. 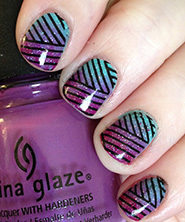 Check out the “New to Nail Stamping” section in the column on the right. As for the hearts, I used a dotting tool to carefully “dot paint” the hearts. I love this! Please do a video tutorial. It’s just nail stamping. Check out the “New to Nail Stamping” section in the column on the right. What size of dotting tool did you use for the heart? I have no idea! I got a set of cheap dotting tools and they aren’t labeled. So sorry! I looked up Who is the Boss online and it looks much more blue than gray like your picture. Did you find it to be more bluish?? Thanks! Super cute! The plates are sold out on amazon, but I bought a Bundle Monster set so I hope it has something similar!